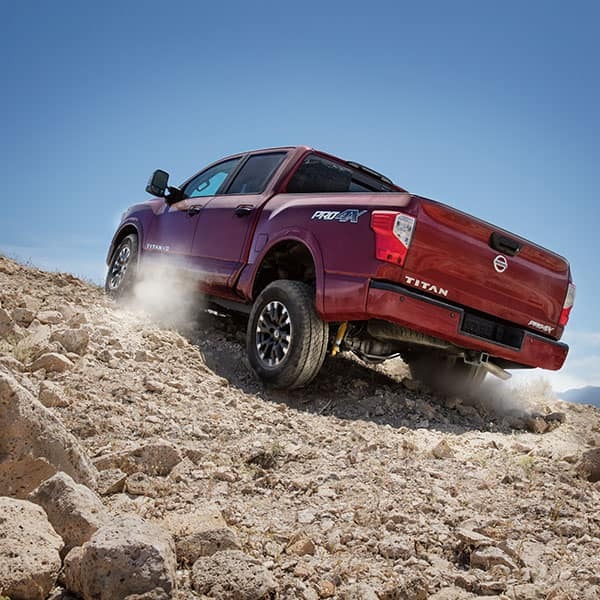 The rugged Nissan Titan is a force to be reckoned with, and our Joe Machens Nissan sales staff invites you to learn about this commanding truck's model highlights before visiting us in Columbia, Missouri for a test drive. Our new and used Nissan dealer offers professional trade in services and comprehensive financing assistance, so don't hesitate to value your car or apply for our loan services before visiting us near Jefferson City to meet the Nissan Titan trim that complements your needs. Take a look at a few model highlights and then visit us near Sedalia for a customized truck experience! The Titan Endurance®'s V8 gas engine provides drivers with an impressive 390 horsepower rating and 394 pound-feet of torque, so if you're looking for power, secure a Nissan Titan today! This Direct Injection Gasoline engine utilizes Variable Valve Event and Lift Technology and is paired with a 7-speed automatic transmission so that you can enjoy the efficiency and responsiveness that you deserve. 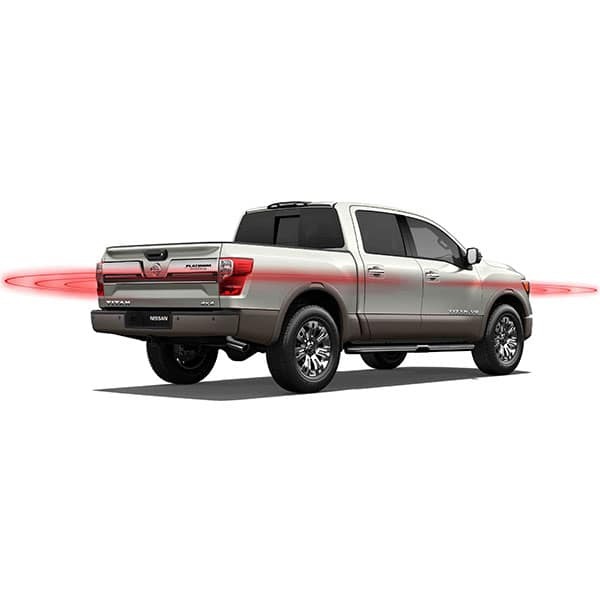 The Nissan Titan not only offers the performance specifications you're looking for but provides the level of on-road protection you want as well. Equip your Titan with Nissan Intelligent Mobility™ to enjoy features like an Intelligent Around View® Monitor, Blind Spot Warning and Rear Cross Traffic Alert. Contact our new and used Nissan dealership to hear about all the features that are included in this innovative package! 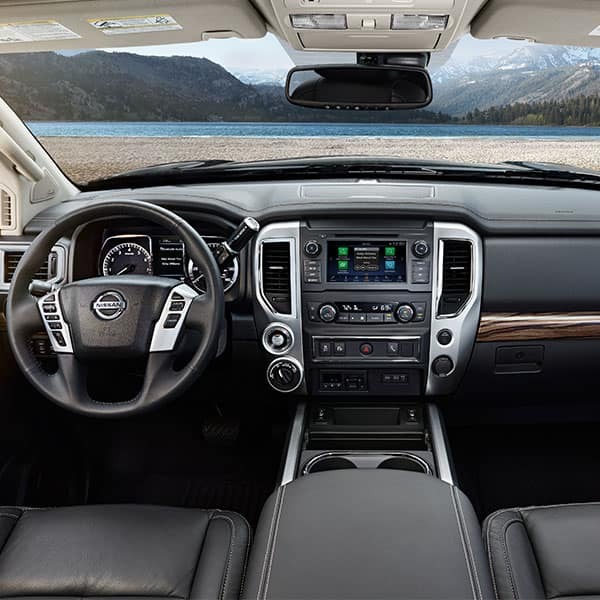 The high-tech Nissan Titan caters to the entertainment and comfort needs of drivers and passengers alike. Secure one of these competitively priced models today to enjoy a Nissan navigation system, Bluetooth® capabilities, NissanConnect® Services Powered by SiriusXM® and more! Visit us in Columbia, MO to see the Advanced Drive-Assist® Display in action and to learn how you can drive home in one of these pickup trucks tonight.